EVERETT, Wash. – The Everett Silvertips (@WHLSilvertips), proud member of the Western Hockey League, and general manager Garry Davidson announced today that the club has signed prospect defenseman Ronan Seeley to a Western Hockey League Standard Player Agreement. Seeley was the Silvertips first selection in the 2017 WHL Draft, chosen in the first round (20th overall). Proud to have you @ronanseeley. 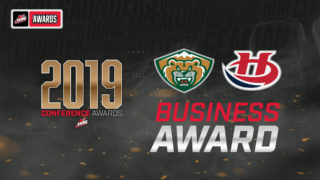 Seeley, a 2002-born blueliner, currently is tied for the league lead in scoring among defensemen and leads all Lethbridge Hurricanes Midget AAA (AMHL) blueliners with 20 points (2g-18a) in 18 games while not committing a single penalty. His 18 assists lead all league defensemen. The Olds, Alberta native was named to Team Alberta at the WHL Cup this season, and helped the club reach the gold medal game while collecting three points (1g-2a) and a +5 rating in five games. 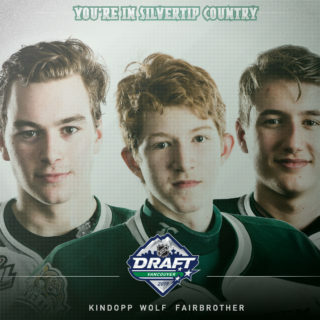 He was fourth in the Alberta Major Bantam Hockey League, led the Red Deer Rebels (Bantam AAA) defensemen and was third overall in club scoring last season with 38 points in 35 games, earning the club’s Most Outstanding Defenseman honors. He was the AMBHL’s Most Sportsmanlike Player in 2015-16. 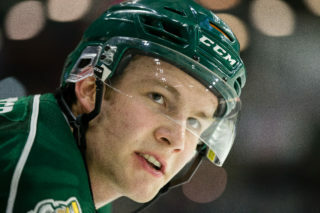 Seeley is one of four players signed by the Silvertips from the 2017 draft class, joining forward Jackson Berezowski (second round), defenseman Dylan Anderson (fourth round), and goaltender Blake Lyda (fourth round). Ronan’s father, Patrick, skated over the course of two seasons in the WHL with the New Westminster Bruins and Spokane Chiefs (1983-86), registering 15 points in 51 career games. 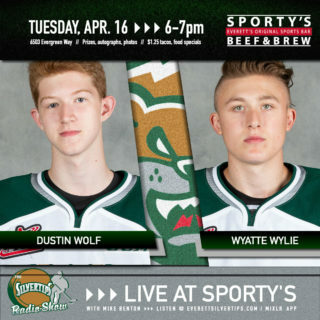 The Silvertips enter this week one point behind first place in the U.S. Division and return to play on Friday, visiting the Spokane Chiefs at 7:05 p.m. (1380 AM / FM 95.3 / WHL Live). 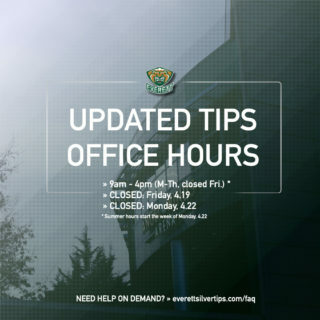 The Silvertips return home Saturday, 7:05 p.m. vs. Prince George. Silvertips tickets are available at www.everettsilvertips.com/tickets, by phone at (425) 252-5100, or in person at the XFINITY Arena box office.